This class has already started, but late registration is possible! We will send you the material that you missed by email. For those who have already taken three of our weak Intermediate classes, or who can converse comfortably in the present tense, who have a fair range of vocabulary that can be accessed easily without too much thought, but who do not speak perfectly in the past or future tenses, we invite you to join our dynamic Intermediate Class. I just wanted to let you know how much I enjoyed the Intermediate class. I got to speak more than I have in any other French class I’ve taken in the past! I loved getting the homework – it really pushed me to learn more. M is a great teacher! 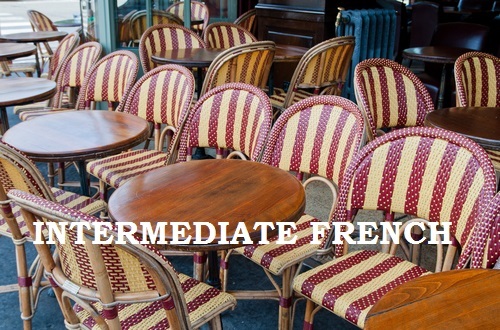 I will recommend this class to my friends if I hear they would like to study French.